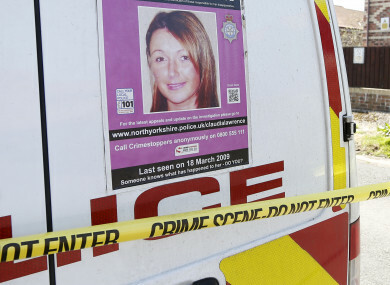 Sitdown Sunday: What happened to missing Claudia Lawrence? A feminist kink space opens up in a New York neighbourhood, and residents are not happy. In 1864, an Irish father held his dead son’s body after he was killed during the Battle of Cedar Creek. Here’s the family’s story. The family is not an easy one to trace in the 1860 census. The main reason for this is their listing under the name of O’Riley (which has been erroneously recorded as O’Kiley). On 21 June 1860 Charles was living in the First Ward of the City of Auburn, where he worked as a laborer. His wife Marcella was engaged in housework and looking after the couple’s four children- 15-year-old Anthony, 12-year-old Mary, 6-year-old Ann and 4-year-old Charles. A ten-year old girl, Catherine Doyle, also lived with the family. Both Charles and Marcella had been born in Ireland, but had emigrated to the United States before the mid-1840s, as all their children had been born in New York. Another son, James, would follow in 1861. 3. What happened to Claudia? Claudia Lawrence went missing 10 years ago. She still has not been found. Indeed, the 35-year-old was seen walking home from work the day before – cameras capturing her as she left work at 14:31 and spotting her at various points along the 45-minute route. Later that night, she spoke to Peter on the phone, then Joan, with whom she made plans to mark Mother’s Day. Once thought of as a fringe interest, veganism now means big money for food companies. But does mean that it’s in danger of being diluted by capitalism? In 2018, the Vegan Society registered 9,590 new products as vegan – a 52 per cent increase on products that carried the society’s official trademark in 2017. In September 2018 alone, Iceland launched its No Bull frozen vegan range; Magnum released two pea-protein ice creams; Hellman’s started selling vegan mayonnaise; Pizza Express introduced a new vegan pizza; and Costa Coffee launched a vegan cookie. Every major British supermarket announced or expanded a vegan range in 2018. How did Boeing certify the 737 Max system which is suspected to be behind recent major plane crashes? Here’s a look at what happened. We live in an always-on world, and it’s easier and easier to get distracted. But here are some tips to help. But for most people, I don’t think willpower is the right approach. New psychology research is showing that old ideas about willpower and self-control weren’t quite right. Just ask a gambling addict or a smoker. It’s possible that we can’t build willpower and we can’t summon self-control, after all. They’re myths. What often looks like strength of resolve is really the result of an environment or mindset that makes the right decisions the easy decisions. From last month, a look at inside the controversial Theranos. Holmes, too, had seemingly cherry-picked from her elders. She wore a black turtleneck, drank strange green juices, traveled with armed guards, and spoke in a near baritone. In an industry full of oddballs, Holmes—a blonde WASP from the D.C. area—seemed hell-bent on cultivating a reputation as an iconoclastic weirdo. Having Balto seemed to help fortify the image. Email “Sitdown Sunday: What happened to missing Claudia Lawrence?”. Feedback on “Sitdown Sunday: What happened to missing Claudia Lawrence?”.